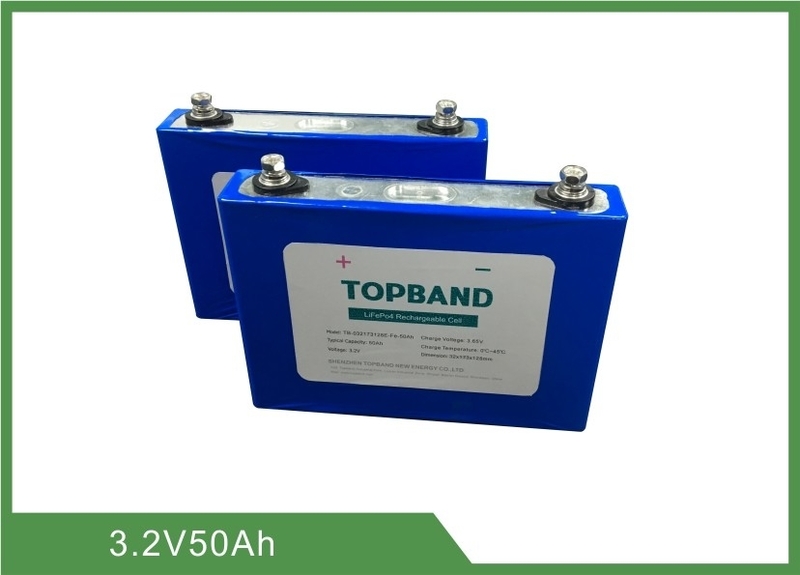 This product specification describes the technique standards, test methods and precaution notes of prismatic type Lithium iron phosphate rechargeable cell, manufactured by Shenzhen TOPBAND Battery CO.,LTD. 3.1 All tests stated in this Product Specification are conducted at temperature 25℃±5℃ and humidity 15℅～90% RH, atmospheric pressure 86kPa～106kPa. 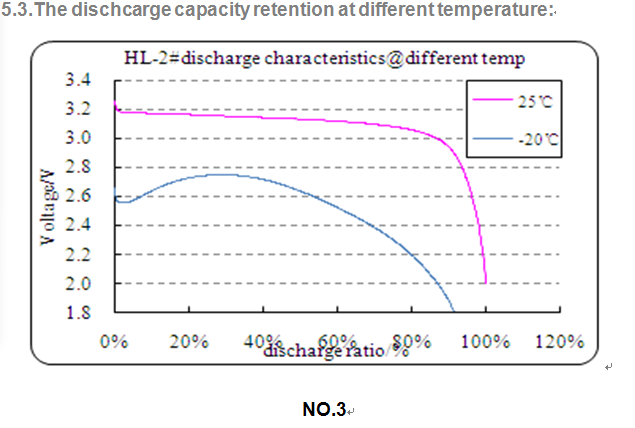 The "Standard Charge" means in an ambient temperature of 25℃±5℃, the cell was discharged with 0.5C constant discharge current to cut-off voltage 2.0 V, standing 1h, then charged it with 0.5C constant current to 3.65V, then charge mode turn into CV mode, until the charging current is down to 0.05C, then end of charging and standing 1h. 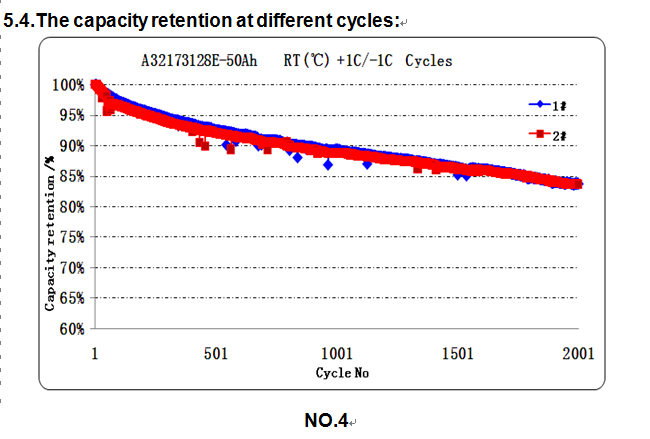 The cell was charged in accordance with 3.2, and stored in an ambient temperature of 55℃±3℃ for 5h, then discharged to cut-off voltage with a constant current of 1C. After that, fetch out the cell and place it in the ambient temperature of 25℃±5℃ for 4h then check its appearance. The cell was charged in accordance with 3.2,andstored in an ambient temperature of -20℃±3℃ for 24 hours, then discharged to cut-off voltage 1.8 V at a constant current of 1C. After that, fetch out the cell and place it in the ambient temperature of 25℃±5℃ for 4hours, then check its appearance. a. 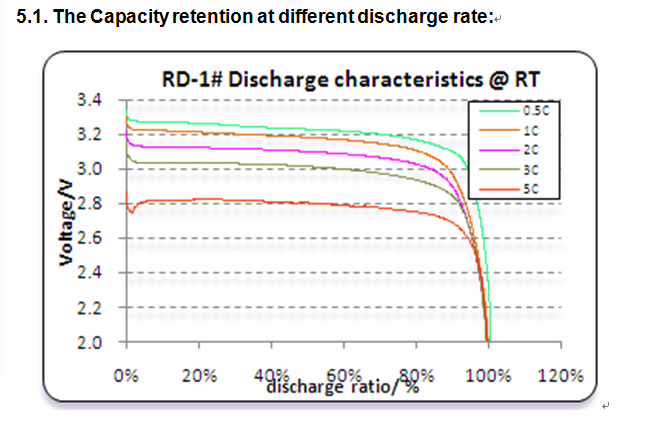 Discharged the cell with 1C constant current until the cut off voltage to 2.0V, stay for 1h. b. Charged the cells with 2C constant current until the voltage to 3.65V, stay for 1h. c. Discharged the cells with constant current until the cut off voltage 2.0V. The cell is charged in accordance with 3.2, then stored for 6h at a vacuum of -90KPa, after that put the cell in room temperature for 6h, then check the cell's appearance. The cell was charged accordance with 3.2, after that the cell is short-circuited by connecting the positive and negative terminals with a wire for 10min, the wire has a maximum resistance load of 5mΩ., then observe for 1h. 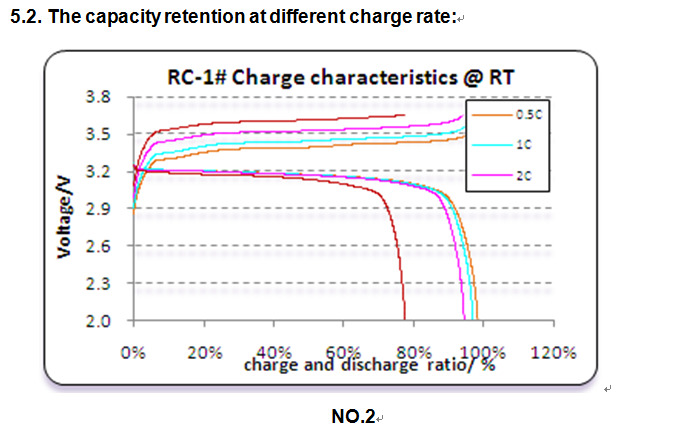 The cell was tested in accordance with 3.2, then 1C constant current charged till the voltage reaches 1.5 times of the specified end-off charge voltage, or the charge time reaches 1h, then stop charge, and observe for 1h. The cell was tested in accordance with 3.2, then 1C discharge for 90min, then observe for 1h. The cell was tested in accordance with 3.2, and then is placed on the crush machine, the axis is parallel to the crush equiment, and it is crushed between two flat surfaces till the crushing force is gradually approaching 200 kN, or voltage reaches 0V,or reaches 30% distortion, then observe for 1h. The cell was tested in accordance with 3.2, and then placed on the impact flat. 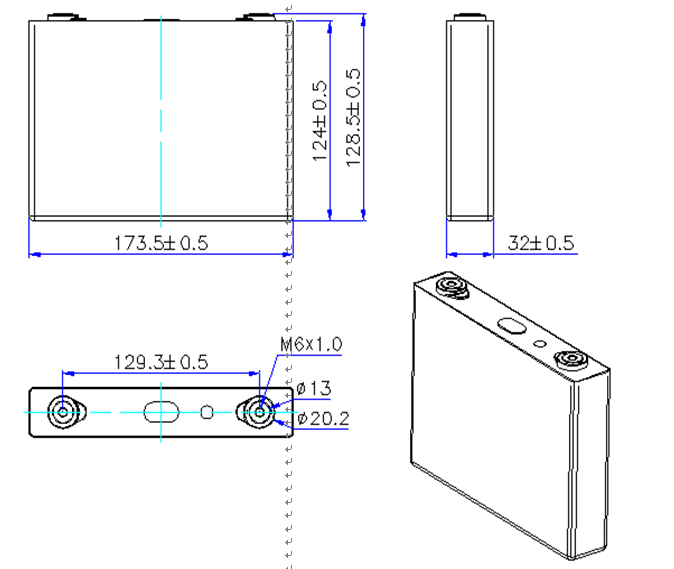 A Φ15.8mm bar is to be placed on the center of the cell. A 9.1kg weight is dropped from a height of 610mm onto the cell, the distortion is allowed.